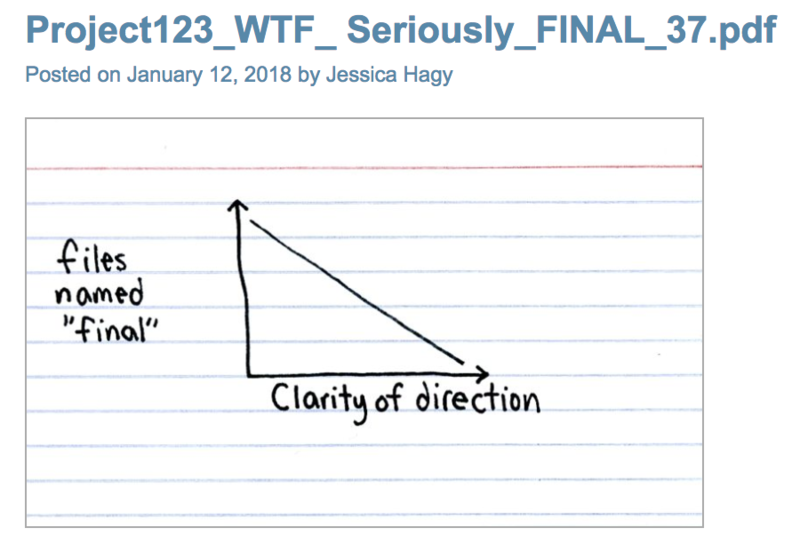 I am definitely guilty of this piece from Indexed. 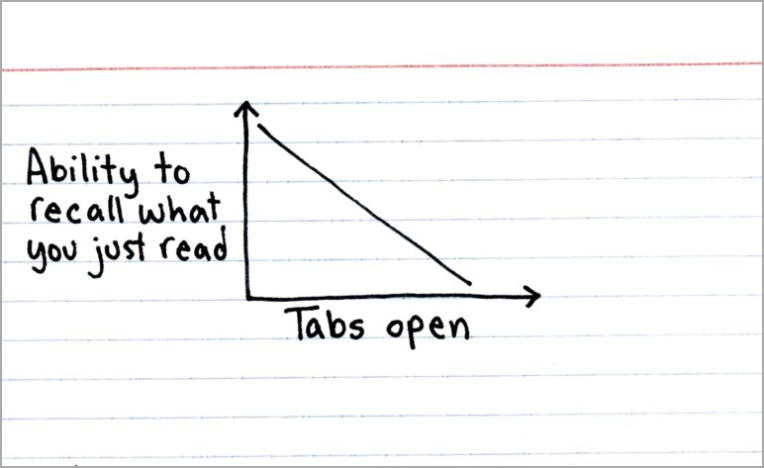 But it’s Friday, so I can open as many tabs as I want. Credit for the piece goes to Jessica Hagy. Yesterday I started working on the next quarter of Economic Insights, the quarterly publication I work on as a creative director at the Philadelphia Fed. For the first issue of 2019 we will be working on an article that talks a great deal about the business cycle, the expansions and contractions that define an economy. 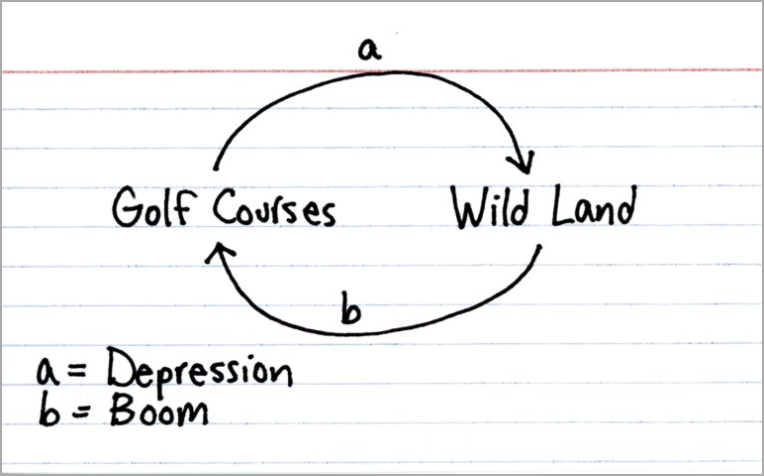 So today we have a piece from Indexed that succinctly puts the business cycle in context, at least from the perspective of a golf course. Well done. Very well done. We’re still in an expansion, for those who may wonder. So more golf! I like to think that becoming a good designer requires lots of work. And that means different types of work. Work pushing you to learn new skills. 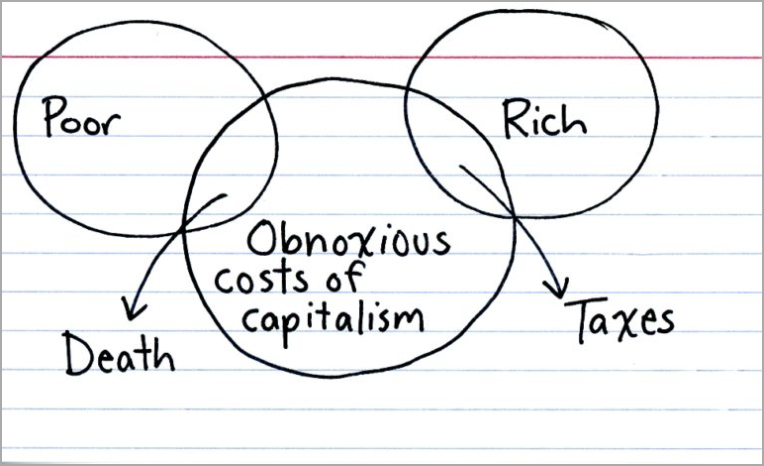 So this graphic by Jessica Hagy over on Indexed makes perfect sense. 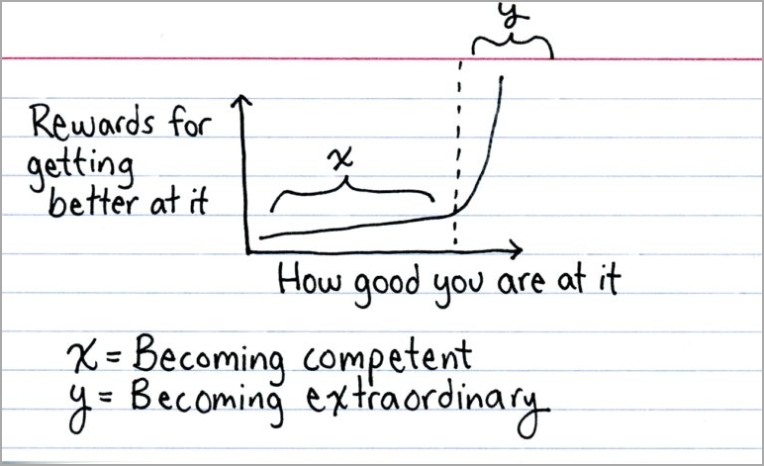 How good you at something ties into how much you work at it. When I lived in Chicago, karaoke was definitely a thing I did. Billy Joel’s Piano Man was among the songs in my repertoire. And this Friday, well, we made it to another weekend. So raise a glass, toast Indexed, and forget about life for a while. This week was tax week for my American readers—hopefully you all filed or received an extension. And with it comes to my mind the quote by that guy who did a lot of stuff in and for Philadelphia: Benjamin Franklin. Nothing in life is certain, he said, but for death and taxes. 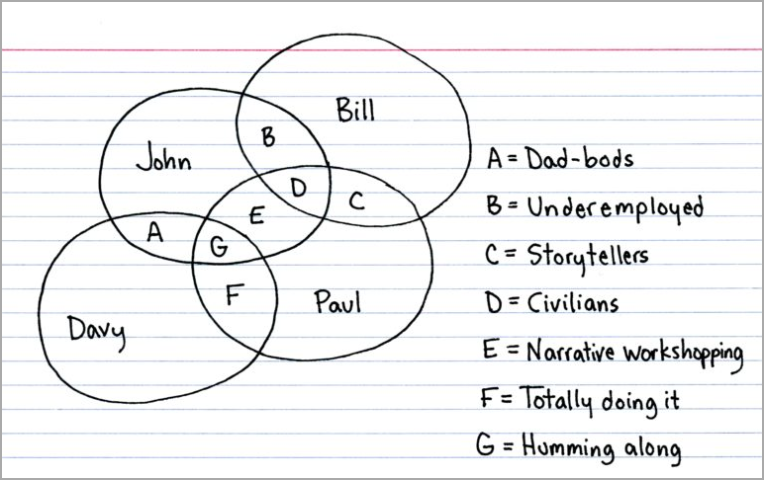 Enter Indexed, who had this great Venn diagram on Tax Day. For those of you in Philadelphia, you are probably glad for today’s (and Saturday’s) forecast: sunny and 25ºC. 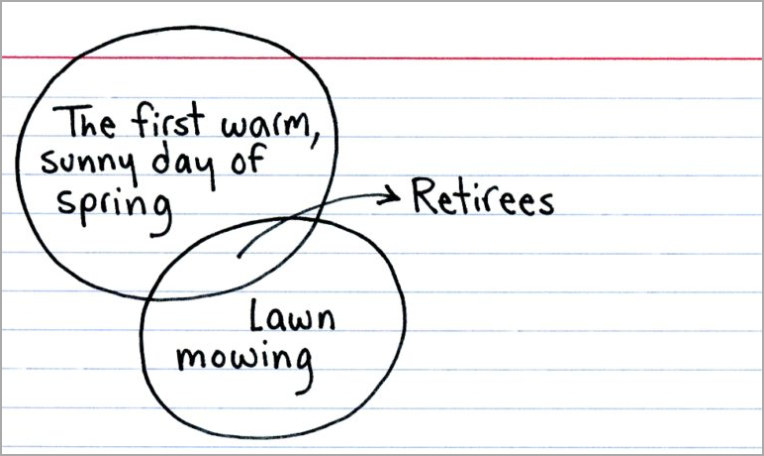 That means grilling, outdoor drinking, and if you fit this description from Indexed, well, mowing. Thankfully I live in a city where this is no such thing as lawn. What is lawn? Though let us not kid ourselves, temperatures fall back to my personal preference by Tuesday. This has been the story of my week. 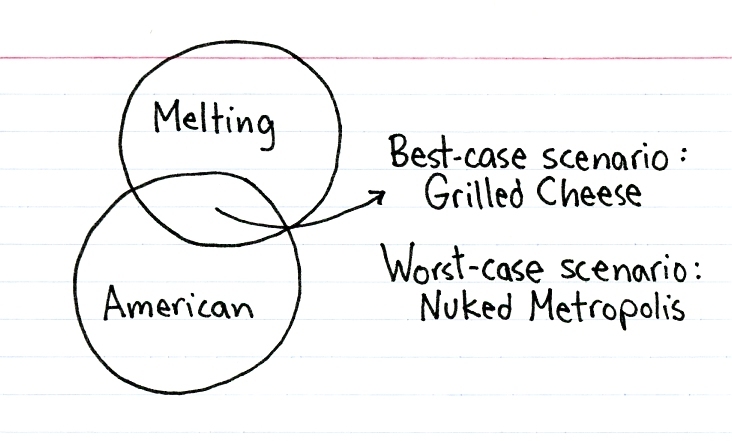 So what a great piece to find on Indexed. On the Friday after the president retweeted support for British extremists, then when told it was inappropriate, told off the British prime minister. On Twitter. But at least we made it to week’s end. So Happy Friday, all. Hmm, interesting week I suppose. But at least it’s Friday. 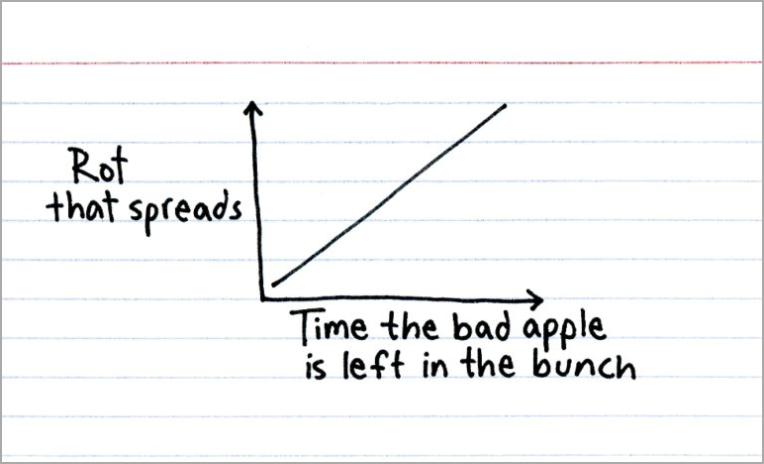 So enjoy this line chart from Indexed that I thought was appropriate given some of this week’s news. While Harvey has been in the news a lot, did you miss that North Korea shot a missile over Japan? Well it did. So this older piece from Indexed came out a few weeks ago and seemed appropriate.